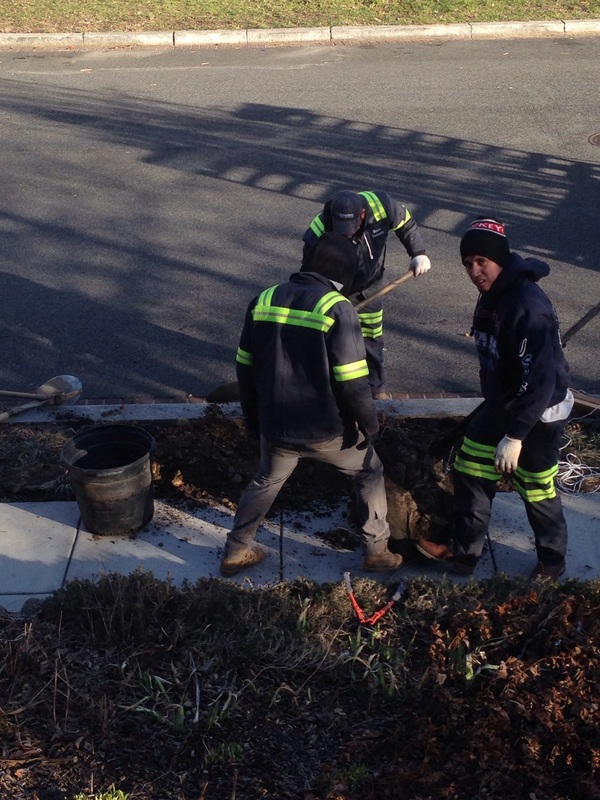 Annual Tree Plantings Begin to Appear, More to Come | Park View, D.C.
I’ve started to notice that the Park View area is beginning to see some of the new trees that are a result of the annual tree planting. The map below shows the locations where new trees are planned. It is important to keep in mind that all the trees do not get planted at the same time, and even empty tree spaces on the same block could have different tree planting times due to the different types of trees that may exist on a single block. 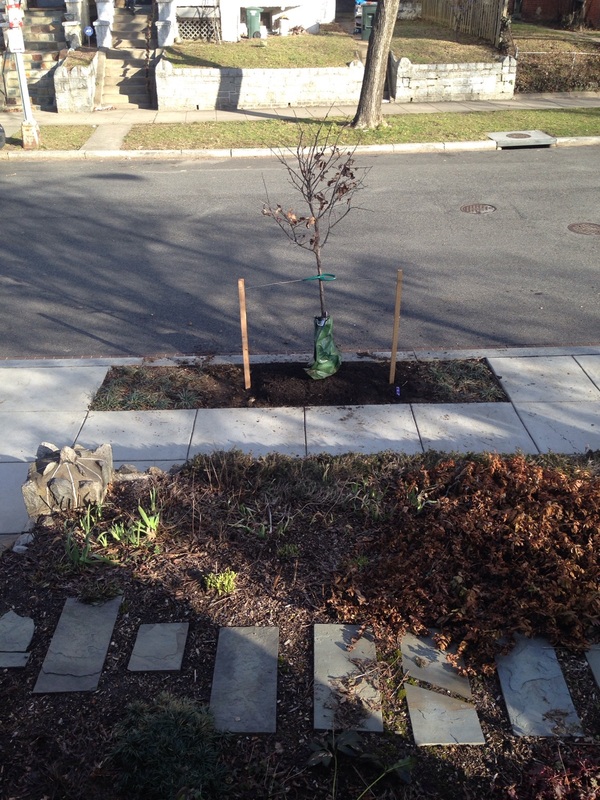 Below are photos of the new tree planted at the corner of Rock Creek Church Road and Park Place. This one happened to be a Swamp White Oak. This entry was posted on March 3, 2016 at 7:01 am and is filed under Streets and Trees. You can subscribe via RSS 2.0 feed to this post's comments. You can comment below, or link to this permanent URL from your own site. Wonderful! So happy to have new trees. I hope homeowners and neighbors will do their part to keep them watered and looked after. Urban tree canopy is great – happy to see this and sad about the loss on Otis. Which department is doing this? How do they select what will be planted?